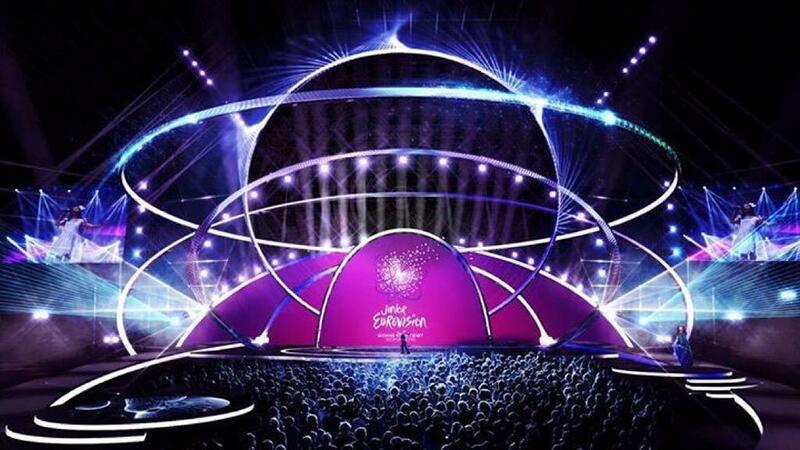 The stage for Junior Eurovision 2015 has been revealed this afternoon by the host broadcaster BNT. This years stage for the Junior Eurovision Song Contest incorporates the logos use of the dandelion. In the news report by BNT the stage it shown to incorporate a variety of lighting rigs, to the side of the stage are two large screens that shows the performances. The back of the stage is built of three large semi circular screens which are used to show graphics for each performance. What we also now know is that the green room will be within the arena so the audience and viewers will get a direct view of the participants. This carries on what has occurred for a number of years now at the Junior contest. Furthermore it appears that the stage will be surrounded by an area where spectators will be able to stand and enjoy the show.